Kamal Haasan is planning to advance the release of Vishwaroopam 2 from April to January 2018. The 63-year-old actor is shooting the last song of the film at the Officers Training Academy in Chennai, as Firstpost previously reported. And in moving ahead its release date, the Haasan-starrer is hoping to make use of the spot vacated by Rajinikanth’s 2.0. This means Vishwaroopam 2 will be releasing at the same time as Akshay Kumar’s Padman; however, since the films are different and the stars enjoy different fan bases, the clash shouldn’t affect their respective businesses any. “Rajinikanth’s 2.0 will not be releasing on 25 January because of the substantial CG work (still pending) so Kamal Haasan is planning to make use of the Republic Day weekend for his Tamil-Hindi bilingual Vishwaroopam 2,” says a source in the Tamil film industry. Written and directed by Kamal Haasan, Vishwaroopam 2 will also be dubbed in Telugu. The sequel is delayed because of producer Aascar Ravichandran’s financial woes but after some negotiations, he has come up with funding for the post-production and shoot of the last song. 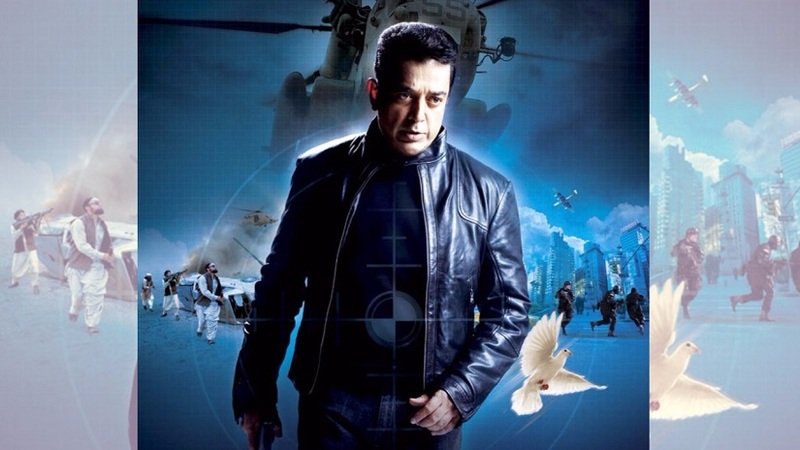 Vishwaroopam (the first part) was also originally scheduled to release on 25 January 2013, but Muslim groups protested against the film and it took nearly two weeks for the actor to clear all the hurdles in Tamil Nadu. After five years, Kamal Haasan is back with the sequel but this time, he is confident of releasing the film without any controversy. The film’s theatrical trailer is ready and it has been screened to Kamal’s close associates, who have praised its technical finesse. “The sequel will have drama and action in the right mix. An underwater stunt will be a major highlight, you will be able to gauge the world-class technical quality of the film with the trailer. The original plan was to release the trailer on Kamal sir’s birthday (7 November) but the Hindi version of the trailer needed minor patchwork. Since the film is a bilingual, everyone in the team felt the Tamil and Hindi trailers should be released simultaneously,” our source added. Although Kamal Haasan’s recent headline-grabbing moves have all had to do with his political plans, the veteran actor’s fans are invested in seeing him on the big screen. Thoonga Vanam ( 2015), a remake of the French film Sleepless Nights was Haasan’s last proper release in Tamil, but the movie bombed at the box office. Soon after Thoonga Vanam, Kamal started a comedy adventure — Sabaash Naidu — a spin-off of his Balraam Naidu character from Dasavathram and Shruti Haasan was roped in to play his daughter. Unfortunately, the film has been (temporarily) stalled for several reasons. At first, the film’s director TK Rajeev fell ill so Kamal himself came to the rescue and decided to take care of the direction. After two schedules, Kamal fractured his leg by falling from the first floor at his office and there was a sudden break in the shoot. Kamal used the recovery time for his small screen debut via Bigg Boss Tamil, which was a big hit. At the recent launch of his anti-corruption app ‘Maiyam Whistle’, Kamal said “I will be completing my pending films before my political entry. I’m aware of my business commitments”. Before his hyped political entry, Kamal is expected to complete three films — Vishwaroopam 2, Sabaash Naidu, and Indian 2 (with director Shankar).